This Ivory Silk Mail Box comes in flat packed form ready to assemble, no glue is needed the box does not include any ribbons, decorations or fillings which may be purchased separately. This is perfect for all your guests to place their cards and keep them safe. 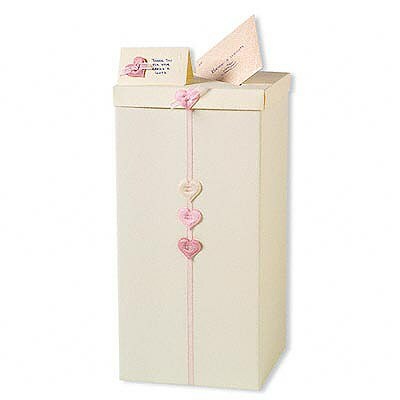 This 50cm high box and lid comes with simple instructions to convert into a wedding card/gift posting box. Please note: This Post Box does not have a slot in the top of the box.